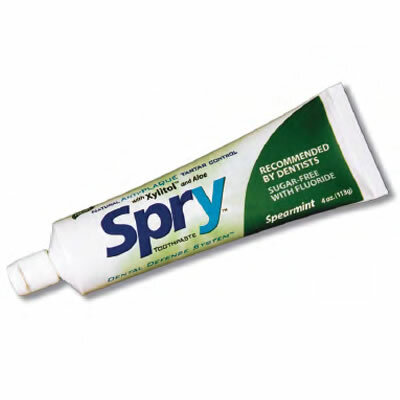 Spry toothpaste is rich in xylitol (at least 25% of the total weight), a great-tasting natural sweetener that slows the acid production of cavity-causing bacteria. October is National Dental Hygiene Month! Are Your Patients Doing the 'Daily 4'?